If you are looking to refurbish your old house to enhance its beauty or embellish a newly constructed one, floors are one of the best aspects to invest. But with so many choices to choose from how could a homeowner make the right choice for their homes? 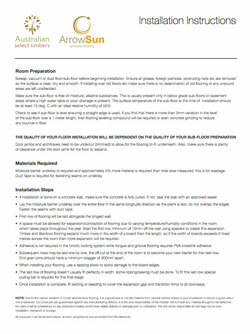 Each type of available flooring has its own set of advantages and disadvantages. Take bamboo and hardwood flooring as an example, bamboo floors are cheaper and growing in popularity while hardwood floors are natural and durable, yet expensive. At the same time, bamboo floors have a lifespan of 10 – 25 years, however, hardwood flooring can last up to 75 – 100 years. In this article, we will compare bamboo flooring and hardwood flooring’s characteristics. Bamboo flooring. Bamboo flooring is a highly durable flooring choice for any location subjected to extensive usage. 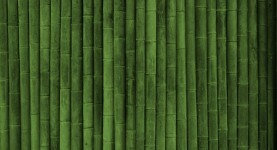 First and foremost, bamboo is extremely hard, and can outlive most hardwood counterparts. Bamboo floors have a very high tensile strength and when ranked on the Janka hardness scale it has ratings slightly higher than traditional hardwood oak floors. 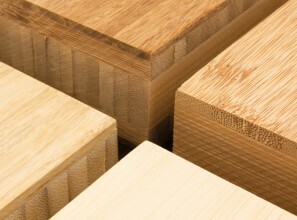 The Janka hardness rating of horizontal or vertical laminated bamboo is around 1,700 pound-feet; though white oak is only 1,350 pound-feet. This extreme hardness makes bamboo more suitable for high-traffic areas where hardwood flooring might be at risk of damage. The durability of bamboo flooring hinges on three factors: stalk placement, added materials, and quality of the original bamboo material. The bamboo floors can last for 10-25 years, depending on the nature of bamboo and added component, or even 30-50 years if maintained well and resurfaced as needed. Hardwood flooring. 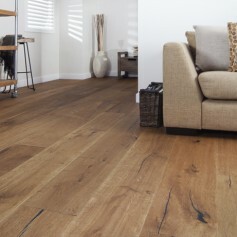 Today’s wood floor finishes are durable, water resistant and require minimal maintenance. In addition, hardwood floors can withstand more wear and tear than average, but can be scratched if objects with sharp edges come into contact with the floor. Also, a properly installed a hardwood floor resists stains and doesn’t hold moisture the way carpets do. The durability of hardwood flooring depends on a number of factors, such as whether the floor is finished, type of wood used, what type of room it is in, and how well it is maintained. Hardwood cannot be installed in basements. Properly finished and well-maintained hardwood floors can last for decades. And as time goes by, the charm of hardwood floors multiply, and since they last for a very long time, generations of people can benefit from this one-time investment. Bamboo flooring. The rapid growth of bamboo plants makes them a much more economical crop to grow and harvest for flooring, only from $2 to $8 per square foot. So, the cost of bamboo is much cheaper than traditional hardwood flooring, frequently coming in at less than half the price of a standard wood floor. Apart from extravagant high-end bamboo flooring product, there are cheaper ones that even homeowners who are on a tight budget can realistically afford. Hardwood flooring. One of the biggest disadvantages of hardwood flooring is the expense. 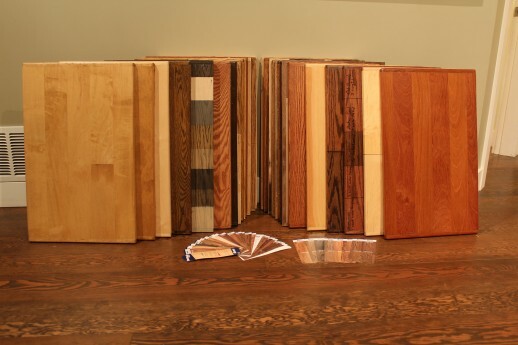 As of publication time, the cost for hardwood flooring, can range from $6 per square foot for a basic product to $20 per square foot for luxury-level materials. In fact, it is much higher than that of bamboo flooring. What’s worse, additional money must be handed out to the professional installers, since laying out the planks must not be entrusted to amateurs. Bamboo flooring. There is a wide assortment of bamboo types, colors, finishes as well as the grades of bamboo flooring which are truly stylish and beautiful. You can find various types of bamboo flooring available in the market like compressed, horizontal and vertical flooring. As for the color, contemporary manufacturers produce a variety of colors by carbonizing the bamboo or dying the laminated boards before finishing them. Generally speaking，bamboo flooring is colourful and stylish to unleash your imagination of home decoration. Hardwood flooring. 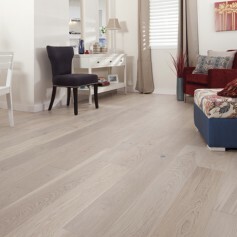 These days there are more styles, colors and species of hardwood flooring than in the past. Various exotic lumber options make dramatic design statements, and these varieties of wood can be used in enumerable ways for virtually any type of decor. Therefore, there is no wonder that many interior designers today prefer hardwood floors as the base layer and then add an area rug to enhance and add color to a room’s décor. 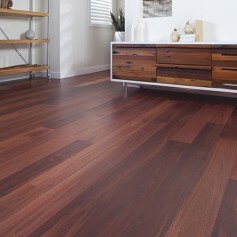 There are a lot of styles, colors and species to choose both for bamboo floors and hardwood floors. Bamboo flooring. Many people are finding it easier to care for bamboo floors than to get stains out of carpet. A simple sweep daily and application of a mop once a week is all that is required to keep the bamboo flooring clean. You do not have to worry about the amount of foot traffic or any spilled drinks because it is easy to clean and maintain. Wet mops should be avoided when cleaning bamboo floors. Dust mops and stiff brooms are enough for general cleaning, and a well wrung-out mop can be used if necessary. 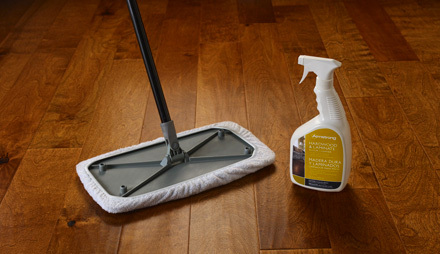 Cleaning agents that are safe for use on hardwood floors can also be used on bamboo. 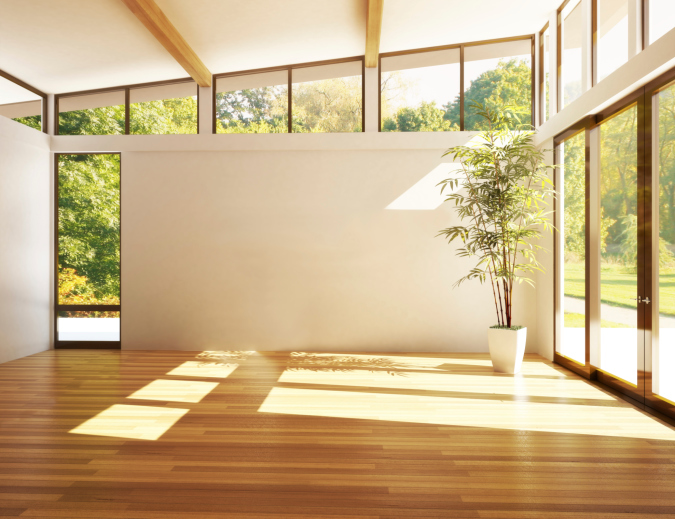 Worn or scratched bamboo floors can be sanded down and refinished, rather than needing a full replacement. Hardwood flooring. Hardwood floor maintenance is relatively easy and includes keeping grit off of the surface by sweeping and wiping with a damp cloth. Although hardwood floors are really low-maintenance, they do require professional attention occasionally. In addition to regular maintenance, hardwood floors need to be polished and refinished with polyurethane clothing every three to four years for longevity. Most worn and damaged hardwood floorboards can be repaired or refinished rather than replaced, but if damage is severe enough to require replacement, the damaged boards can be pulled up and replaced with matching material. Bamboo flooring. With bamboo flooring being so trendy nowadays, realtors are noticing that it can actually add significant resale value to a property. If you are going to sell your house which is equipped with bamboo flooring in the near future, potential buyers may respond in a faster way. Hardwood flooring. A national survey of real estate agents, stated that 90% said that houses with wood flooring sold faster and for a higher price than houses without wood floors. 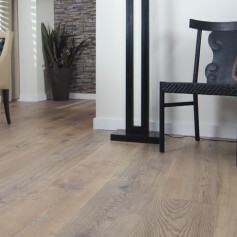 So, having hardwood put in can actually increase the value of your home by more than you spend on the flooring itself. Bamboo flooring. 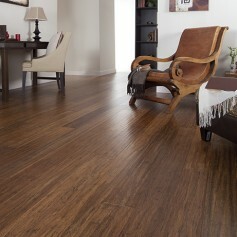 Bamboo as an eco-friendly flooring is not so complicated to install that it does not require professionals to do the job. Most bamboo flooring manufacturers create their planks the way that it could be easily installed by homeowners themselves. The tongue-and-groove boards can be nailed or glued, and although a moisture protection barrier is still necessary, they hardly have tendency to swell and cup. Hardwood flooring. The hardwood flooring used to be difficult to install, because it has a density that is pretty extreme, which means that trying to cut or sand this flooring type can be a major pain. Today, most hardwood floorboards are pre-cut into easy-to-install tongue and groove planks. Bamboo flooring. Though hollow inside bamboo is extremely hard and strong, it feels comfortable when you are walking barefoot or standing over a long period of time – and it is less tiring if you do the similar task on hardwood floors. In addition, the bamboo grass plant is naturally more resistant to many types of insects than most soft and hardwoods used in hardwood flooring. This flooring is also a good choice for dog owners, since softer flooring materials are susceptible to scratches from dogs’ claws. Hardwood flooring. Hardwood flooring is a great holder of heat and is capable of trapping the heat from the main heating source. It is natural and so it brings a natural earthy feeling inside your home, which is something that most synthetic flooring cannot match. 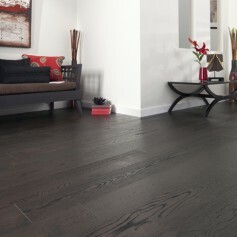 Compared to carpet, tiles and other flooring materials, both bamboo and hardwood have no grout lines or fibers. And a new wooden floor should be very easy to keep free from dust and dust mites, so it is an ideal choice for an allergy sufferer. For example, if your kids are allergic to dust and other irritants, these materials are relatively more suitable for your home. Bamboo flooring. Bamboo flooring is usually laminated and blemished that makes it a floor that fights off moisture. And due to this feature, it’s very much suitable for use in areas of the house where moisture is aplenty. For example, this type of natural flooring is particularly good for kitchens and bathrooms. Hardwood flooring. Hardwood flooring is prone to moisture penetration, discoloration, or warping. Engineered hardwood is slightly more water resistant alternatively. Bamboo flooring. 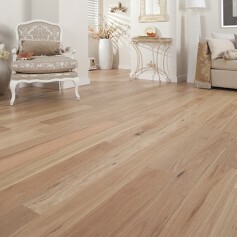 The bamboo material is much vulnerable in a sense that such floor is likely to show dents and scratches that arise from direct contact with spiky and sharp objects. Bamboo is also prone to bleaching out when exposed to a lot of direct sunlight, so it can have issues in sunny rooms over time. Hardwood flooring. Hardwood is a living material that reacts to variations in humidity and wears naturally over time so it is not as durable and tough as other floorings. 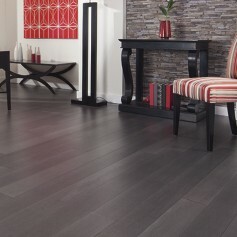 Thus, this flooring is less suited for installation in a wider range of climates. It is prone to stains, scratches and fading can be quite approached by moisture so you have to be careful of spillages and leaks in your home. Bamboo flooring. Bamboo grows really fast, and has an abundant supply from many regions of the world. This type of flooring uses the stalk of a bamboo plant which grows mainly in the form of a tall grass and can be harvested easily in a small period of time. When you contrast this with the 100+ years a hardwood species needs to grow you get a real sense of how earth-friendly bamboo floors truly are. This is why it has gotten the nod of many environmentalists. Hardwood flooring. Hardwood is extremely environmentally friendly since it’s a natural resource. It’s recyclable and renewable. But when comes to the production of hardwood flooring, it isn’t exactly as environmentally friendly as it is billed to be. Unlike bamboo which is ready for harvest in as short as 5 years, hardwood takes many years to replenish. So if wood is cut down on a large scale, it will make a negative impact on the environment. So it is best to be purchased from environmentally responsible manufacturers to avoid over-harvesting. Bamboo flooring. Cheap, poorly manufactured bamboo, made from immature stalks, not only cups can emit a lot of formaldehyde and other chemical toxins. Definitely, you should purchase flooring which has been made of materials harvested for about five years, otherwise it will be weaker. Hardwood flooring. Due to the lack of oversight in some of the wood produced overseas, there is a safety risk with some cheaper wood. So most of all, it would be the best to get some research on the different dealers that offer hardwood flooring before finally plunging into any purchase. Every flooring poses both advantages and disadvantages. So before you install flooring talk to your builder or contractor about what you choose, and compare the benefits and prices with other materials. Only by clearly knowing their respective characteristics, choosing between bamboo flooring and hardwood flooring will become a little bit easier. And in short, we really hope that you will be successful in finding the most suitable flooring to decorate your property.